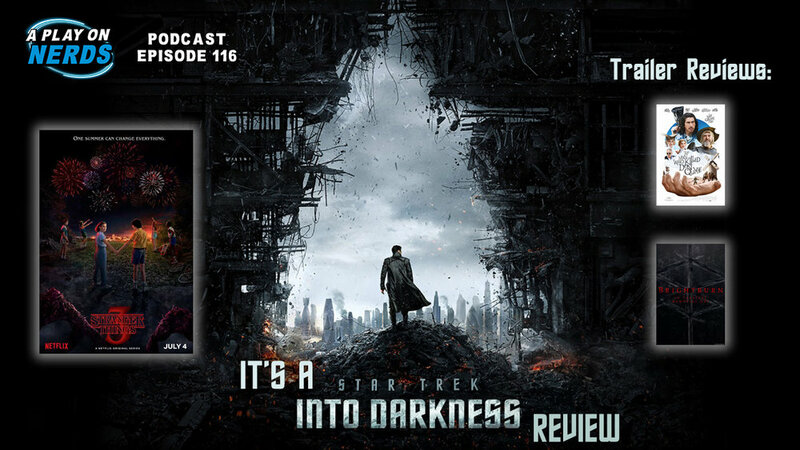 Episode 116 - Star Trek Into Darkness Review! Our long-running feature series of reviewing every film in the Muppets and Star Trek franchises is almost complete! This edition: Star Trek Into Darkness! What’s the deal with John Harrison? What’s the deal with the casting? Is this still Star Trek? Is this real life?! We also have lots of Disney/FOX merger news, a new Dumb Dungeons and Dragons character creation, Radical Recommends, and Trailer Reviews of The Man Who Killed Don Quixote, Brightburn, and Stranger Things Season 3!